Free learning resources from arts, cultural and heritage organisations. What did the Victorians do for us in Leeds? As the middle classes got richer they had more money to spend on luxury goods like jewellery, silver, designer furniture and musical instruments. New shops sprang up on Briggate selling these kinds of things. 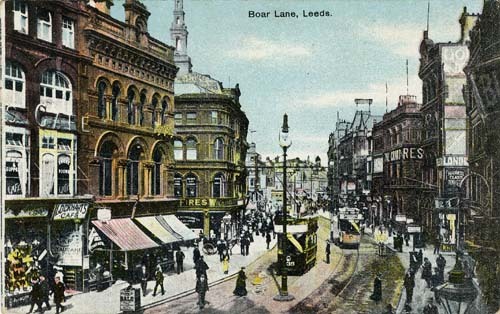 In the late Victorian period Boar lane had Leeds’ finest and most fashionable shops. 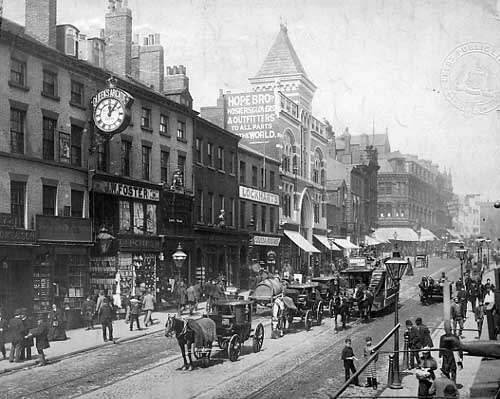 The first department store, Grand Pygmalion opened on Boar Lane in the 1880s. 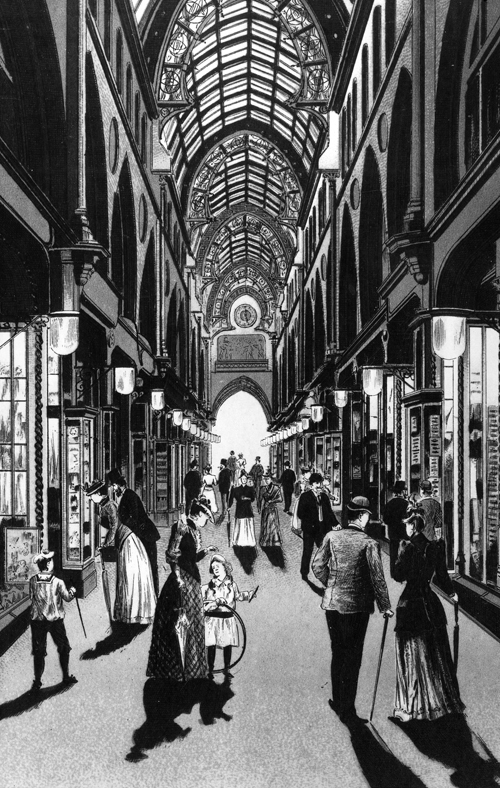 Leeds was the first city to have covered shopping arcades. Some of these arcades were built over old slum yards. In 1873 Charles Thornton, who owned the City Varieties Hall, developed Thornton’s Arcade. It has three storeys and a glass roof. At one end there is a clock with four life sized figures in it telling the story of Ivanhoe. They were made by the Leeds Sculptor John Wormald Appleyard. 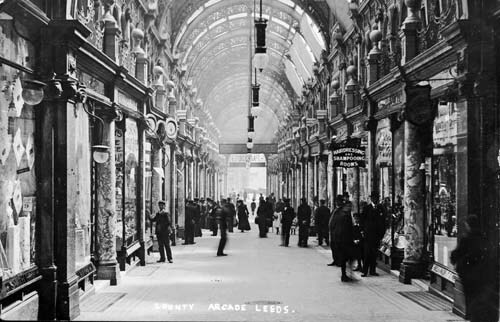 This was the second arcade to be built in Leeds in 1888. 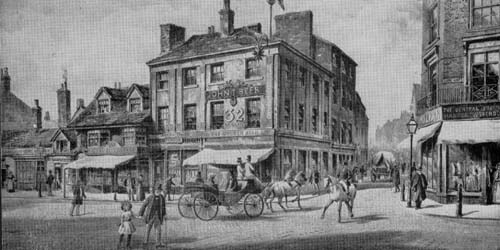 It was built over the old Rose and Crown yard. It was named in honour of the Queen Victoria’s Golden Jubilee. This arcade is 3 storeys high with a glass roof. The second storey is filled with shops now but was originally where the shopkeepers lived. This arcade was built in 1898. It took its name from the nearby Grand Theatre that had been built in 1878. County Arcade was built in 1898 over the old White Horse Yard. The arcade is two storeys high and richly decorated. It has a vaulted glass ceiling with mosaic figures representing Liberty, Commerce, Labour and Art.